Hold the phone on naming freshman quarterback Jacob Eason the starter for the season opener. However, the newcomer does look to be close to winning the job. On Saturday night the site Saturday Down South, which aggregates articles in order to create reports (and in this case, stretches the truth), posted that Eason would start and play the entire game next Saturday in the Chick-fil-A Kickoff Game. 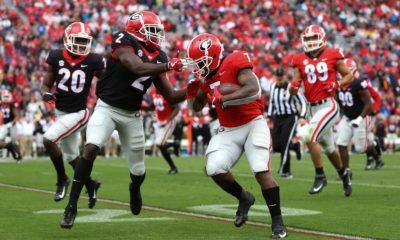 They used an article from Scout’s Dawg Post, in which the author, Dean Legge, reiterated the fact that Eason is currently in the driver’s seat and is in a prime position to start for the Bulldogs. Eason has been taking snaps with the first-team for the past two weeks, as was reported by numerous beat writers based on the media viewing periods. 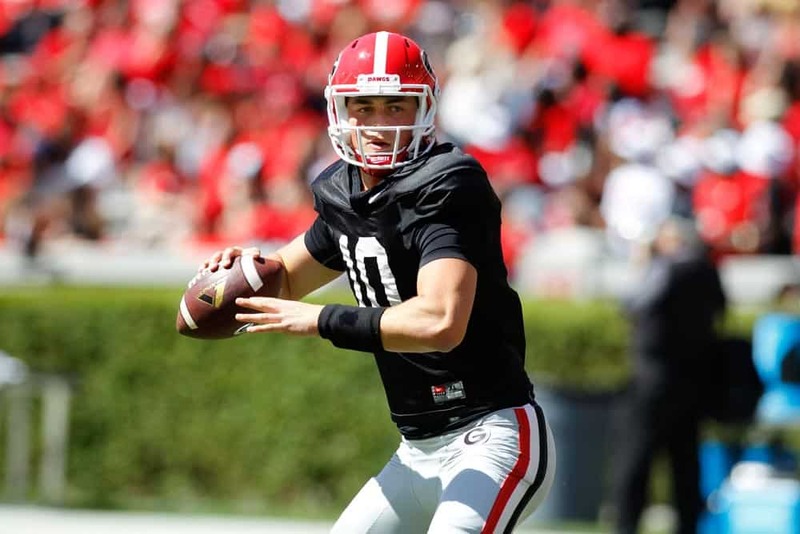 Lambert received fewer reps with the first-team, and during the media viewing period last Friday, Brice Ramsey was seen on the sideline signaling in plays, hinting that the competition is down to two quarterbacks to begin the season. The increase in reps only shows that Eason is on the verge of being named the starter, however Lambert is still being given a slim shot. In no regards was the report by Scout written to confirm that Eason has received the starting job, but yet again the truth was stretched and there was a sizable inaccuracy in reporting. 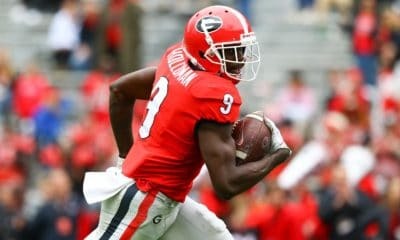 This is written simply to warn readers and Georgia fans to err on the side of caution when declaring the winner of a position player, declaring a player’s return from injury or any other breaking news. One thing of note in Scout’s report was the development of Eason when running with the first team. 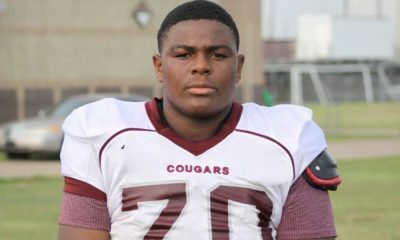 However, something being “expected from insiders” is far from a concrete report as to who the starter will be. But as previously stated, Eason looks as if he’s in a prime position to earn the role of Georgia’s starting quarterback to open the season, as reports state. As players have been notified of a rotation for game-week, the media has yet to be confirmed of anything concrete regarding the quarterbacks. 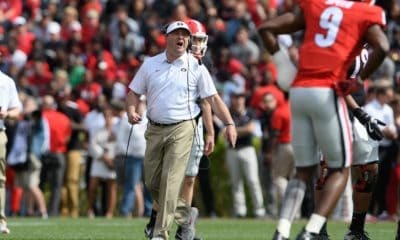 Georgia head coach Kirby Smart will gather with the media at noon on Monday to discuss the quarterbacks, but he has hinted at the potential of not naming a starter prior to kickoff.